Are you a homebrewer? Do you think you’ve gotten pretty good at it? Do you think your beers are good enough to be brewed on a large scale, canned and sold to the craft beer masses here in Seattle? Then Ruben’s Brews has the contest for you. Returning for the third straight year, Reuben’s Brews presents: “Hop Idol”. It’s time to refine your best hoppy recipes and hone your brewing techniques so you can put your best brew(s) forward. Don’t wait too long to start either, because the cutoff date for entries is February 27, 2019. It all comes down to you and your brew, because (Best Ryan Seacrest impersonaltion) THIS………. is Hop Idol! Homebrewing is a big part of the craft beer World. In fact, many of today’s professional brewers started out as homebrewers themselves before launching their professional breweries. 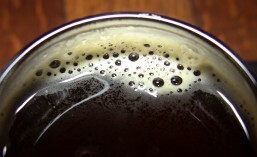 Many homebrewers enjoy entering their creations into local and national homebrew competitions. Winning an award for your homebrew is always a great feeling. I’ve won a few myself in my homebrewing days (though I’m between systems right now). What if winning meant more than just a ribbon or certificate? What if winning meant that your beer could be scaled up, brewed on a professional brewing system and made available for commercial sale? Well that’s exactly what Counterbalance Brewing Company (CBM Sponsor) and Sound Homebrew Supply are doing with their Really Big Georgetown Pro-Am Homebrew Competition.